ICA student, Derek Shaw, reports on his industry placement experience at Wolfgat, World’s Best Restaurant 2019. Of course, being rated one of the best chef schools in the world by an acclaimed international body is important. Of course, winning numerous awards for culinary education excellence and contributions towards this field is important. Of course, producing award-winning chefs and culinary professionals who are setting benchmarks in the industry is important. But what is even more significant in choosing the best culinary school for your future studies, is what current and recently graduated students are advocating about their culinary journey. What are ICA students – those individuals that are actively undergoing the actual education process at the ICA – saying about their experience? 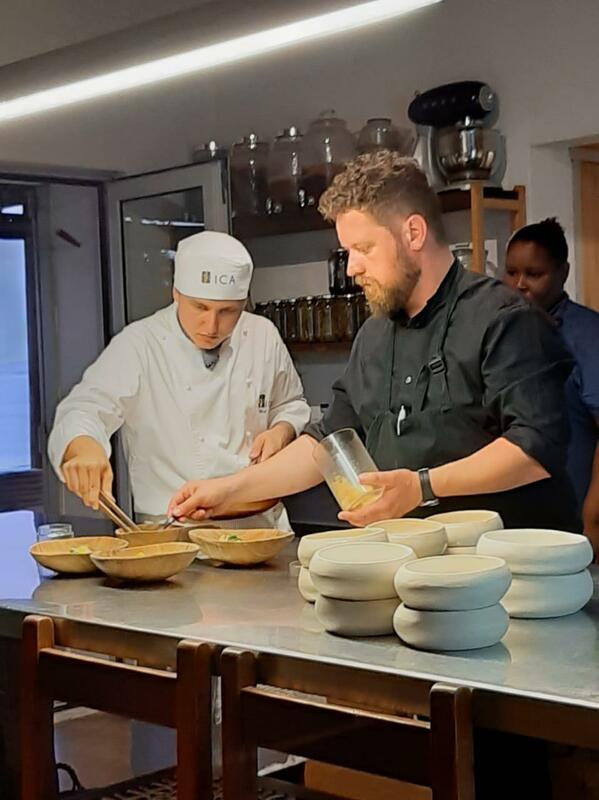 Current ICA 2nd-year student, Derek Shaw, has just completed his industry placement with ICA Alumni and World’s Best Restaurant 2019 winner, Kobus van der Merwe. With an emphasis on mentorship, from the moment an ICA student enrols at the ICA to the day that they themselves can one day fulfil the role of mentor to other young chefs, Derek’s experience and exposure is certainly shaping a bright future. The ICA is hosting another Winter School workshop on 3 and 4 July. If you would like to become a professional chef, be sure to book your spot!